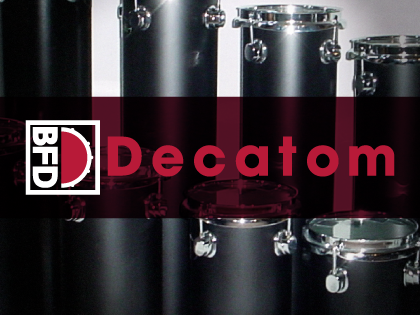 BFD Decatom is an expansion for BFD3, BFD Eco and BFD2 that features a set of 10 tuned toms with identical 6" heads but depths varying from 6" to 24". The resulting set features a pitch range that covers 1 octave and is useful for unconventional melodies, basslines, alternative tom sounds, percussive grooves, atmospheric soundtrack work and much more. 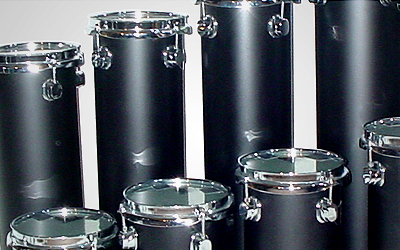 The 10 included DDrum Deccabons can be adjusted to play chromatically using the tuning features in your BFD environment and can be twisted into a variety of shapes with dynamics and effects processing. BFD Decatom is recorded in similar studio conditions to the BFD Jazz & Funk and BFD Percussion expansions as well as those used for the Mapleworks kits in BFD3.